The Kerrie Show: Could You Survive on $30/Week for Groceries? Could You Survive on $30/Week for Groceries? 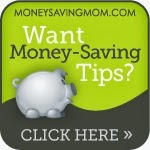 I found this blog called Money Saving Mom and I think I have a little Bloggy Crush. I have this Bloggy Crush because even though I'm working about 20 hours a week and bringing in some decent cash, it's disappearing. We don't live high on the hog or anything, either. We have home improvement projects that are eating the money, and then there are the groceries!!! I know 80% of the problem is ME, too ... I like to grab fast food every now and then and have a nice coffee once a week or so and take the kids on field trips. I spend too much money even when I'm getting deals (like 50% off our recent trip to SeaLife). So here's the post I was perusing. Someone asked about living on $30 per week for groceries as a single woman. That would be $210 per week at my house, right? Since there are 7 of us, that's $30 times 7 = $210. And $840/month. Guess what? That's what we spend anyway on all food and household products. So I'm doing great, right? Not necessarily. I think I can do better. And if you figured in fast food and coffees, you would get a higher figure, friends. I think the first step is realizing that just because your family brings in decent money doesn't mean you can spend it all. It means you have to set up some dreams and goals and then REALLY start saving for them, knowing that when you sacrifice that fancy coffee you should be putting 5 bucks into a Legoland vacation jar somewhere and NEVER TOUCHING IT.